We are delighted to announce that Fr Laurence Freeman OSB, has kindly accepted our invitation to come to talk to us in Oxford on the evening of 25th October 2018. 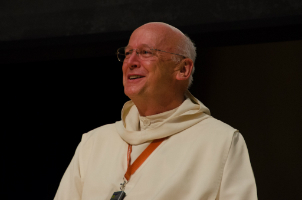 Fr Laurence is the Founder of World Community for Christian Meditation, now present in more than a hundred countries and which has become a 'monastery without walls', in which he travels and teaches widely. The event will be held in The Leonard Wolfson Auditorium, Wolfson College, Linton Road, Oxford, OX2 6UD.